Donna from Upstate New York had her wedding dress for over 20 years before she decided to have it preserved. During that time her girls would take it out of the closet and play dress up with it and storage conditions were less than ideal. Watch her story below. Her dress came back looking like the day she purchased it from the bridal shop and she couldn't be happier with the quality cleaning and preservation her gown received. Regardless of whether you were recently married or if your gown has been hanging in the closet for years, it's never too late to preserve your gown. 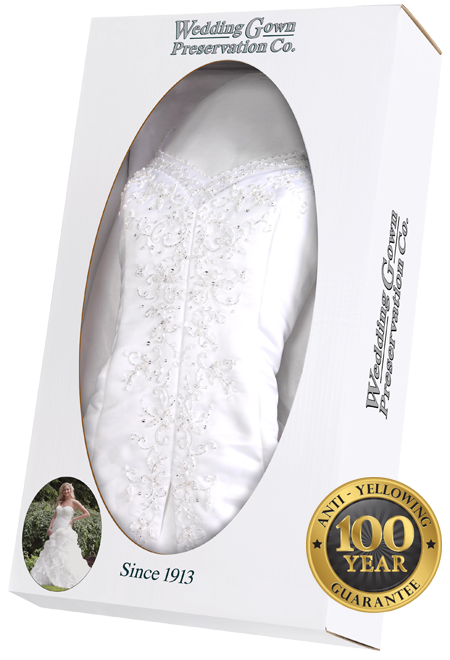 Read more Wedding Dress Preservation Kit reviews. Why Clean & Preserve with Us?